Over the past several decades, clay minerals have been applied in various bio-fields such as drug and drug additives, animal medicine and feed additives, cosmetics, biosensors, etc. Among various research areas, however, the medical application of clay minerals is an emerging field not only in academia but also in industry. In particular, cationic and anionic clays have long been considered as drug delivery vehicles for developing advanced drug delivery systems (DDSs), which is the most important of the various research fields including new drugs and medicines, in vitro and in vivo diagnostics, implants, biocompatible materials, etc., in nanomedicine. These applications are obviously related to global issues such as improvements in welfare and quality of life with life expectancy increasing. Many scientists, therefore, in various disciplines, such as clay mineralogy, material chemistry, molecular biology, pharmacology, and medical science, have been endeavoring to find solutions to such global issues. One of the strategic approaches is probably to explore new drugs possessing intrinsic therapeutic effects or to develop advanced materials with theranostic functions. With this is mind, discussions of examples of cationic and anionic clays with bio- and medical applications based on nanomedicine are relevant. 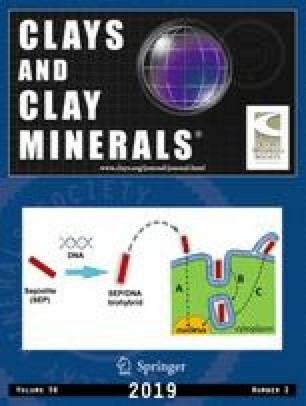 In this tutorial review, nanomedicine based on clay minerals are described in terms of synthetic strategies of clay nanohybrids, in vitro and in vivo toxicity, biocompatibility, oral and injectable medications, diagnostics, theranosis, etc. This work was supported by the National Research Foundation of Korea (NRF) Grants funded by the Korean Government (MSIP) (No. 2017R1A6A3A11034149, No. 2016R1D1A1A02937308, and No. 2017K2A9A2A10013104).